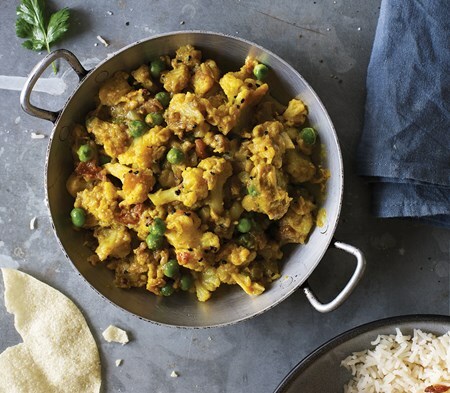 Spiced cauliflower florets in a mild and sweet coconut curry sauce with plump green peas and crispy onions. *This recipe is made with ingredients most vegans would approve of and is part of our growing range of vegan-friendly dishes. Although we can't claim official vegan certification (as we don't have a designated area in the COOK Kitchen), we know plenty of vegans who would happily eat it.